This wise blend of elderberries, black currants, hibiscus and rosehips is a favourite with all generations. The hibiscus adds a tart dimension to the blend, which makes it very refreshing. 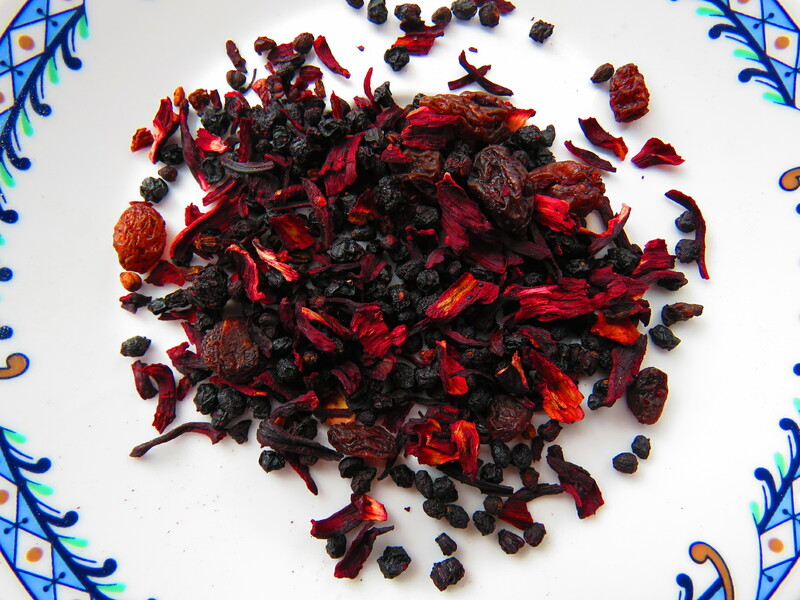 The rosehip chips add a mellow smoothness to the tea along with Vitamin C. The currants give the tea a very distinctive character – black for fruitiness and red currants for ‘bite’ and tangy flavour. Finally, raisins were added to give a natural sweetness. All of these ingredients respectfully compliment the elderberries. Our family simply loves this combination. For a summer time drink ‘Respect Your Elders’ iced is hard to beat. It is refreshing and thirst quenching and not overly sweet. By virtue of the fact these blends do not contain any tea and are a special blend of fruits and herbs – they are caffeine free! An additional benefit is these ‘teas’ contain Vitamin C. What could be better – a healthy drink that tastes GREAT!